8 Ford is a well-presented semi-detached house offers family accommodation arranged over three floors. 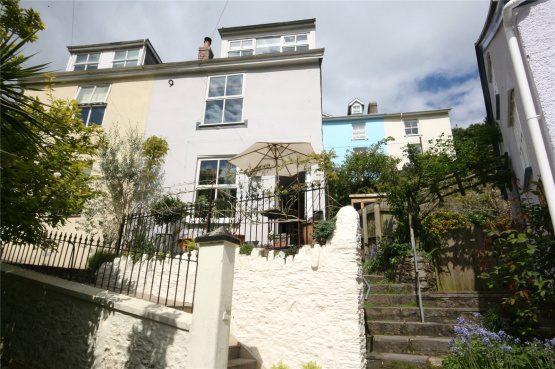 The light and spacious dual aspect living room on the top floor opens out onto a rear decked terrace and delightful garden with useful garden room/studio. The bedrooms occupy the first floor and on the ground floor there is an open plan kitchen/dining room, utility room and cloakroom. The property also benefits from a sunny southerly aspect, a single garage and is conveniently placed for easy access to the town centre.